Recently, a friend and mentor, who is a successful management consultant, challenged us to create a list of “core concepts” from Special Forces, which we believe are applicable to our clients in the corporate world. Right away I began thinking about my experiences. There are the elite military training programs I have undergone, conducting missions in Afghanistan and Africa with my Special Forces unit, and disaster relief as a Coast Guard Helicopter Rescue Swimmer. No sooner then I started thinking, a flood of key points came to mind and I had to rush for my notebook and a pen. 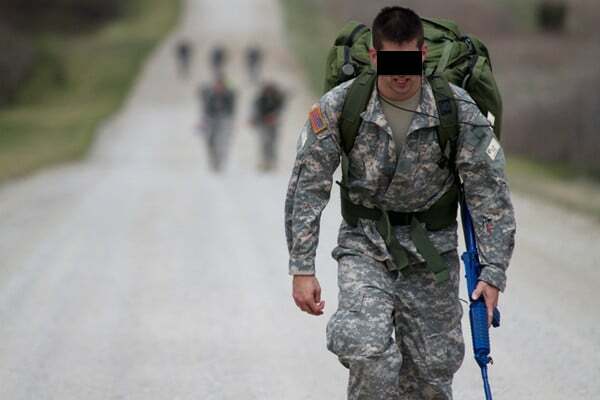 At Origins Training Group, our aim is to shed light on the secrets that have been developed and are used by US Army Special Forces (Green Berets), and other similar units, in the most trying conditions the world over. We believe that not only should Americans have some idea of what their Special Ops community is doing on their behalf, but that they should also be able to absorb some of that culture in order to make their own endeavors stronger. The best way to honor those who sacrifice for a better America overseas, is to build a better America right here, and hopefully these concepts from Special Forces will help you do just that in your own business, organization, and life. A small Special Forces team, made up of no more than 12 Green Berets, is capable of affecting an area that would otherwise take thousands of conventional troops to handle. This is possible because of the unconventional capability known as “Force Multiplication.” When a handful of Special Forces teams, totaling roughly 40 Green Berets, infiltrated Afghanistan in 2001, and toppled the Taliban in a couple short months, it wasn’t by running around the country trying to fight every insurgent themselves. Instead, they used the principles of cultural analysis, communications, creativity and flexibility, and a good bit of audacity to inspire, unite, and mobilize the various anti-Taliban groups throughout the country to do most of the work for them. Force multiplication is having the ability to create, inspire, and lead an instant team, using whatever human resources you have at your disposal. In the corporate world this can be a very valuable skill. Each office, department, and business—every person you encounter in fact—are potential human assets that can be won over to help accomplish your mission. If understood, and approached like a “Special Operator” this capability can extend the reach and influence of an organic team indefinitely. 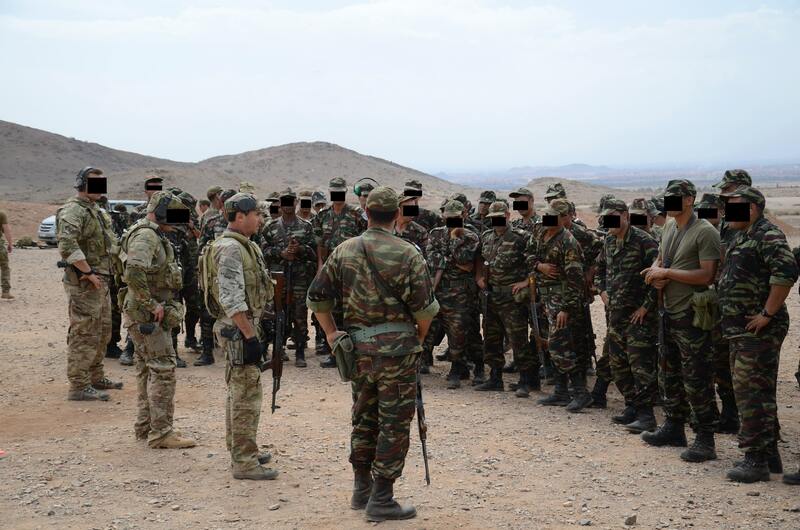 Matt and team mates training local troops for counter insurgency in North Africa. The conventional method of military training involves applying external motivation to the troops, in the form of yelling, encouragement, punishment and reward, and other modes of pressure. In this traditional approach, the idea is to inspire the type of performance and loyalty desired, and failing that, to compel compliance through force. Conversely, in Special Forces, the goal in selection and training is to identify candidates who display the propensity for “internal motivation.” Rather than yelling, setting goals, and leveling threats, instructors simply present the SF candidates with extremely challenging problems, then step back and observe. The idea is to see which of them bring sufficient internal motivation and personal goal setting to the table, even in a vacuum of external input, in order to overcome the seemingly insurmountable obstacles before them. An operator selected for and encouraged in this trait of internal motivation will perform whether or not they are being directly supervised, and will even conceive of, develop, and execute actions in support of the “higher mission” when completely cut off from the chain of command. This is very important in the case of Green Berets, who can often find themselves faced with major decisions to make on behalf of the US, without access to guidance from above. This is possible because their motivation to act, accomplish, and do the right thing comes not just from their superiors, but more importantly from deep inside themselves. A Special Forces candidate reaches deep for his internal motivation. One of the less glorious but absolutely essential elements of success for Army Special Forces teams is the ability to plan missions in great detail, thus mitigating risk and and setting up for mission success. Using proven templates for planning that cover all possible bases, SF teams conceive of, develop, and plan missions to a staggering level of detail. Unlike most other military units, this planning involves every member of the team, regardless of rank, enabling every operator to be able to execute almost any part of the mission if need be. Even when time only allows for “abbreviated planning” having knowledge and experience in the full planning-cycle, and MDMP (military decision making process), allows teams and operators to effectively plan under whatever time table for TST (time sensitive targeting). Having a road map for leaders and team members to follow when it comes to planning is an indispensable tool for mission success, whatever the time constraint. US and Afghan forces planning for a joint mission. 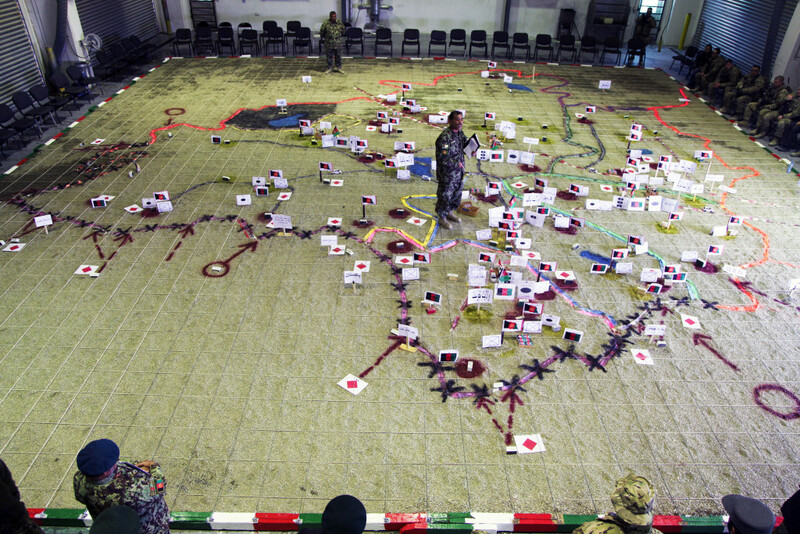 Even with the best laid plan in place, the battlefield is an unpredictable arena. The popular quote that “No plan ever survived first contact with the enemy,” is a testament to this. So what then? Go back to the drawing board? Well when the bullets are flying, that isn’t always possible. Decisions have to be made now, they have to be actionable and creative, but most importantly they have to be made. Chaos is the arena of the Special Operator, and they must be able to adjust instantly to the realities of the mission, no matter how much the original plan has fallen apart. What’s more, the operator must be able to do so with supreme calm and confidence, regardless of how badly the stuff has hit the fan. This may involve picking up the badly broken pieces of the original plan and recombining them in a creative way. It also may mean being able to accept when your original direction is a dead end, in which case the operator must be able to conceive of an alternate answer without hesitation. An elite operator must also be at peace with the fact that they may not have the time or the information to arrive at the best decision under a crisis, but that they must make decisions none-the-less. Adaptability is an important trait for the Special Operator, even before the bullets fly. The reason SF teams can accomplish so much with so little, is because they behave like chameleons. The “conventional” mindset values looking, acting, and thinking the same regardless of surroundings. 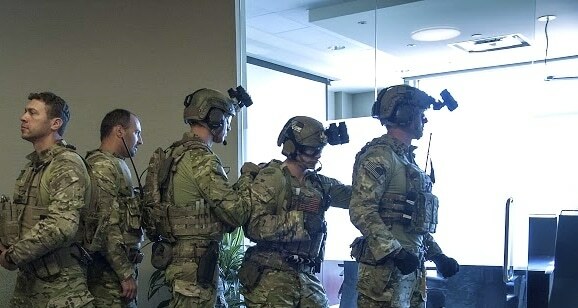 In contrast, the “unconventional” Special Forces approach relies on being able to recognize the important factors in a given “operational environment,” be they cultural, geographic, political, linguistic, etc., and adapt the operators appearance, behavior, words, and actions in order to be as influential as possible in that environment. 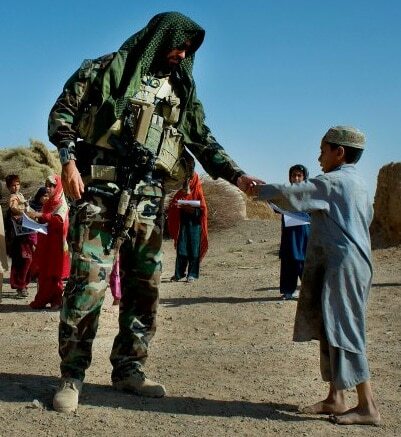 A Special Forces Soldier embedded with Afghan villagers. If you think these Special Forces concepts would be valuable to your organization, Origins Training Group is here to help you instill them. Contact us to get started on a custom program now. Stay tuned to this blog for the rest of the “20 Special Forces Concepts for Business” and more.